From Cadorna to The Remarkables, New Zealand's breathtaking mountain tops provide the ultimate playground for snow bunnies and ski enthusiasts. While NZ ski is a family holiday favourite, hitting the slopes can be a costly adventure. When you factor in flights, accommodation, lift passes, ski gear, transfers and food, things can add up very quickly and make family holidays seem near impossible. However, with some careful planning and savvy spending it is possible to ski on a budget.… Here are 5 money saving hacks for a NZ ski holiday. Solo travel is one of the fastest-growing tourism segments with one in four people expected to take a solo adventure in 2019. According to Solo Traveller, the number of people Googling "solo travel" has increased by a staggering 40% in just two years. While solo travel has always been popular for younger people on gap-years or backpacking adventures, solo travellers are actually a much wider demographic. Which Thailand Destination Is Right For You? Located in the heart of the Andaman sea, Thailand is a magnificent holiday destination that draws millions of tourists from across the globe. Thailand's 76 provinces offer a spectacular range of unforgettable holiday experiences. Providing something for everyone from rest and relaxation, beautiful beaches and scenery, to incredible shopping, delicious cuisines and a vibrant nightlife. Each region exudes its own unique charm and attractions but choosing which one is right for you can be difficult, especially when they all look so damn good! Here, we have outlined four of Thailand's most popular destinations and all of the must-see attractions to make your decision that little bit easier. Thailand is that special place where days melt from one to the next beneath balmy tropical skies and a sea speckled with islands delivering the sun-kissed holiday of your dreams. What was once a backpacker hotspot, has transformed into a spectacular and fun-loving destination that is both beautiful and culturally fascinating. Perfect for families, Thailand boasts wonderful tropical weather, beautiful beaches and exciting attractions that are guaranteed to impress. From the tropical shores of Phuket to the magical Phi Phi Islands, families are spoilt for choice across a range of world class accommodation specifically catered for children. If you're looking for an amazing yet inexpensive beach holiday for the whole family, look no further than tropical Thailand. Here are 5 reasons why Thailand is perfect for families. The global souvenir industry is worth hundreds of millions of dollars and acts as a vital source of income for many countries around the world. For many of us, souvenir shopping is also a major part of our holiday experience. Whether it's to collect holiday keepsakes, interact with the local culture, or buy gifts for friends and family, souvenir shopping is a popular way to create holiday memories and buy items we couldn’t necessarily obtain back home. But, have you ever thought about where the souvenirs really come from? Are the products that you're buying truly supporting the local economy, or are they undermining local craftsman and businesses? Ahh Japan… it’s that quirky country where historic wonders meet Hello Kitty cafes, robot restaurants and real life Mario Kart. It's where you can order hot coffee from a vending machine, spend days exploring ancient temples and ski the powdery slopes of Hakuba. Japan is a unique destination with plenty of weird and wonderful things to discover. However, there may be one thing about your visit to Japan that you’re approaching with some trepidation – the food. Still you shouldn’t be intimidated by the possibilities that await you on the menu. We’ve taste tested Japan beyond the sushi, to find the top 8 foods to try on your next Japan adventure. Whether it's to explore ancient wonders in Vietnam, marvel at the skyscrapers in Bangkok or take in the sights of Singapore, there are so many reasons to explore Asia. While Asia attracts many visitors for the alluring culture and attractions, one of the most popular reasons tourists visit Asia is for the food. Boasting a fusion of flavours, enticing tastes and delightful delicacies, Asia has so much to offer the foodie abroad. Here's where you can feast on Asia's best food markets. TravelOnline is very pleased to announce that we have been named Booking Service of the Year in the annual ProductReview.com.au Awards. Renowned as Australia's largest consumer review site, ProductReview offers a platform for consumers to share opinions, rate and review products and services, as well as the businesses who sell them. TravelOnline has been operating for over 20 years. We are passionate about providing personal service, expert advice and offering the most competitive deals to our customers. Over the years, we have seen many developments in the travel industry and continually changing trends in the popularity of overseas destinations. Boasting soaring skylines, enthralling attractions and vibrant nightlife, Bangkok is a bustling metropolis brimming with culture and adventure. A contemporary city where ancient temples rise against a concrete jungle, Bangkok comes alive as the sun goes down. While the urban streets provide an endless playground of entertainment and fun, it's above the clouds where the Bangkok nightlife thrives. Here are 5 of the best rooftop bars in Bangkok. As the silly season winds down and February fast approaches, many have already forgotten those ambitious New Year's resolutions made over one too many cocktails on New Years Eve. Whether your resolutions were to exercise more, de-clutter, save for that house deposit or spend more time with loved ones, it's not too late to fulfill those resolutions and actually achieve a lot more than you think. It doesn’t need to be difficult or overwhelming by any means, and it can be done with one simple solution. Here’s how you can achieve all of your New Years Resolutions by travelling more. When booking a flight to Asia, it can be difficult to know which airline is right for you. Considerations like price, seats, flight times, loyalty programs and even food can all be massive deal breakers (or deal makers) depending on what's important to you. With so many flights, routes and carriers to choose from, we understand the confusion travellers face when booking a flight to Asia. So, to help you plan your next holiday with ease, we have narrowed down 5 of the best airlines to fly to Asia with based on ratings, reviews, awards and service. A tropical island of iconic rice paddies, surging surf breaks and glistening coastline, Bali is a one of a kind holiday destination. Known for its laid back lifestyle and unparalleled attractions, Bali offers travellers the choice of ultimate adventure or complete leisure. Whether you're seeking an action packed adventure or lazy beachside escape, Bali is the kind of destination that meets every kind of holiday expectation. Here are 7 photos that prove Bali is always a good idea. Striking the perfect balance between adventure and relaxation, Bali offers travellers the choice to explore the great outdoors, discover verdant landscapes and completely unwind in the tranquil surrounds. Bali villas are the ideal accommodation for families seeking an amazing tropical escape. Offering the ultimate in privacy, service and value for money, these Bali villas provide families a spacious and comfortable sanctuary right in the heart of Bali's most popular regions. With some villas even offering private pools, butler service and onsite chefs, families can experience luxury at its finest. Here are 4 amazing Bali villas for families. Many budget conscious travellers rely on savvy airfare shopping to save on the cost of a holiday. While some like to hedge their bets and nab a discounted airfare with a last minute seat filler, others prefer to book far in advance rather than risk price hikes due to limited availability. Of course, the seasonality of flight prices also makes it difficult to find the best dates for your holiday. Do you ever find yourself dreaming of more holidays? Wondering how on earth you're going to see the world with just 20 days of annual leave? Contemplating if you should just quit your job, pack your bags and head straight to the airport? Well there's no need to worry, because with some careful and strategic planning you can turn those 20 days in to 45+ days, allowing enough time for 4 international escapes and a couple of cheeky weekend getaways. Its the most wonderful time of the year! Christmas day is almost here, and there's a little more magic in the air than usual. Depending on where you are in the world Christmas is celebrated a little differently. For those in the Northern hemisphere, Christmas means rugging up with every item of warm clothing in your wardrobe and staying nice and cosy indoors. However, in the Southern Hemisphere, Christmas is all about spending days in the sun, having BBQ's by the beach with and sipping on some ice cold beers. Both Winter and Summer Christmas have their own unique traditions and festivities, but the question is... which does it better? Read on to discover our Winter vs Summer Christmas showdown and you be the judge! With less than two weeks until Christmas, the countdown is officially on and it's time to step up your gift giving game. If you've got someone in your life who loves travel and adventure, forget the scented candles, socks and undies this year and gift then something they will actually love. Stuck for ideas? Check out our last minute gift guide for the travel addict in your life. Ahh Christmas… it's that special time of year where we celebrate with our loved ones, forget that calories actually exist and indulge in some seriously delicious roast turkey. It's all about decorating the tree, cracking open the bon bons and eating fried caterpillars… wait what? A stunning collection of islands showcasing sugar-sand beaches, technicolour tropical reefs and crystal clear azure waters, the Pacific Islands are almost dream like in their perfection. Here are 10 photos that will make you want to visit. Attracting over 2.7 million visitors each year, Australia is a spectacular continent rich in beauty, culture and natural attractions. Boasting red rock deserts, turquoise tropical waters, and wondrous wetlands, the Australian landscape is as unique as they come. While many Aussies tend to venture abroad for their holidays, they just don't realise the incredible natural beauty on offer in our own backyard. So, if you're planning a trip to the land down under, or just want to explore some of the amazing country we call home, here are some of the UNESCO World Heritage Sites to add to your Australia itinerary. With the recent media controversy surrounding The Everest Cup horse racing event being advertised on The Sydney Opera House it makes us ask ourselves the question, "should we allow advertising on our country's iconic landmarks?" Summer is fast approaching, and we're longing for endless days filled with golden sand beaches, shimmering blue waves and sun kissed skin. If you're anything like us and are dreaming of summer adventures, there is no better way to make the most of your holiday leave than by island hopping around some of the most beautiful destinations on the planet. A tropical paradise of dazzling blue waters, postcard palm trees and pristine white sand, the Cook Islands are the pinnacle of romance and relaxation. Boasting tranquil tropical surrounds, exclusive luxury resorts and an intimate atmosphere, the Cook Islands are perfect for honeymooners or couples looking for the ultimate romantic getaway. Read on to fall in love and discover ultimate romance and relaxation in our couples guide to the Cook Islands. The Cook Islands is a magical archipelago of 15 islands sprawling across 2 million square kilometres of The South Pacific. Boasting beautiful lagoons, sun-soaked sands and technicolour tropical reefs, The Cook Islands is a must visit paradise. Whether you're into relaxation or adventure, culture or cuisine, the Cook Islands are sure to impress. Read on to discover why the Cook Islands should be your next tropical escape. Known for its stunning natural scenery, funky cafés and delicious cuisines, Bali is a brunch lover’s dream! With world class dining and a buzzing café culture, it’s no surprise that Bali is one of Asia’s top destinations for foodies. So, if you’re looking to tempt your taste buds with some amazing, delicious and healthy food, look no further than our guide to the best Bali brunch spots. Travel has a reputation of testing our immune system. Different foods & drinks, lack of sleep, sun exposure and new environments can really take its toll on our bodies. However, with a few simple tricks you can stay healthy and spend your travels feeling fresh and eager to explore. Here are our top tips for how to avoid getting sick on holiday. Arguably the only thing better than finally exploring your dream destination is to experience it with the ones you love most. This said, it's not uncommon for seemingly perfect companionships to dissolve on the road. Read on for our simple measures to ensure you land back home with relationships that are stronger than ever. We love Fiji. We love it for the soft sand, the towering palms and superb resorts. We love the renowned kids clubs, world class cuisine and the unexpectedly short flight into paradise. However, sometimes we don't like the crowds and the overt tourism; rather we wish to discover wild, unspoiled Fiji, to explore the country that existed pre-development. In a destination that leads the international tourism industry, how do you steer from the trodden path? This is our guide to secret Fiji, our favourite little-known attractions for the adventure-takers and secret-seekers. The slow travel trend can seem a little daunting and inaccessible at first. On the contrary, slowing down offers many opportunities to save. For those interested, we’ve broken down the savings you can expect from a holiday that finds pleasure in leisure. One of the best things about travel is how it can bring the world closer, connect cultures and highlight just how much more we have in common than we may have realised. When heading abroad we like to find a tour or activity that will bring us in contact with locals and introduce us to a side of the country we may not otherwise have noticed. Here you’ll find a few ideas as to how you can pull back the veil and discover the rich stories beneath. When heading somewhere new, we always try to dedicate a day or two to directionless exploration. Setting off in the morning, we’ll follow the streets, peer into shop windows and people watch from local cafes. We’ll try unusual street foods and chat to locals, spend time getting lost and learning our way. Here are some of our favourite destinations cities to discover on foot. While research has a reputation for tedium, we find that it can be just as worthwhile watching an engaging clip or documentary as it is reading a travel guide. Here we've compiled short videos and resources that offer unique insight and perspective into some of our favourite holiday destinations. If you're unsure of where you'd like to go next, or feel like you need a quick destination primer, this is the place to start! What Do People Mean When They Talk About 'Slow Travel'? Checking out from daily life, holidays are about rejuvenation. We head away to release built-up stress, to seek a change of scene and learn from unfamiliar experiences. Slow travel is about opting for indepth experiences rather than hitting the most sights; it’s about getting to know new cultures and learning their perspective. When slowing down we avoid travel fatigue, we foster rich memories and we actually get the chance to relax and simply do nothing at all. Boasting stunning resorts, vast beaches and a unique city beat, Honolulu has a lot to offer the first time visitor. However if you’ve been before, or are planning on staying longer than a week, you’ll understand the urge to move beyond the cocktail bar and discover the Honolulu that has so many locals enchanted. Here we’ve compiled a short guide to our favourite not-so-touristy haunts in this tropical capital. Dive beneath the picture perfect beach holiday to find a world of natural wonders, diverse culture and incredible food. We've brought together a few of our favourite holiday destinations and the unique attractions that offer an exciting, remarkably different perspective of familiar holiday haunts. Renowned for its stunning resorts, world-class shopping and unbeatable beaches, Hawaii is a holiday-makers dream. Yet there comes a time where one must leave the resort, brush the sand from our feet and learn a little more about this beautiful island state. We suggest hitting the road, turning the music up and touring the lush archipelago on wheels. Discover the real Hawaii in local cafes, secret waterfalls and intrepid walks. Experience the scenery that they don’t include in the brochures, the wide expanses of desert and remarkable vistas. Wind your windows down and take your holiday on the road. 2017 was dubbed the International Year of Sustainable Tourism, but now it’s over, what have we learnt and how can we ensure that this is a trend that’s here to stay? Read on for just some of the things you and your travel companions can do next time you head on holiday. Lava and Ash: Is it still safe to travel to Hawaii? With Hawaii in the headlines for all the wrong reasons this month, many are asking; is it still safe to travel to the Hawaiian Islands? Whether you’re planning your much-anticipated idyllic honeymoon or are merely in dire need of an intimate getaway, we’ve compiled some of our favourite romantic destinations that are sure to capture the passion without breaking the bank. As the cold snap descends and school holidays near, it’s only natural to start thinking of warmer pastures. While still a few weeks away yet, we like to book our winter escape early so as to provide a little motivation through the darker days. It’s in those moments that your feet first touch the cold morning tiles, or you head to work in wet mist only to return under darkness, that a pre-planned Vitamin C break becomes a symbol of resilience and strength. Here we’ve compiled a little list of the sultry destinations that caught our attention this year; now it’s just a matter of counting down. It's one of those dreams that often remains just that, a dream. Sell everything, pack up and head out into the world. When kids come along, that dream just floats a little further beyond reach. In reality, could you keep moving in perpetuity? For families with a dream to escape (if even for a weekend), this is the place to start. Despite the tour buses which power through the nearly five hour drive from Melbourne to the 12 Apostles in an afternoon, the Great Ocean Road is best experienced over a number of days (or weeks if you can spare it). Sheer cliffs overlook the expansive, brilliant blue Bass Strait with each turn bringing yet another spectacular view. In just two years, the number of people Googling solo travel has increased by 40% according to Solo Traveller. Similarly, one in four people admit to planning a solo adventure for 2018. So who are these people taking the plunge? According to one survey, this is a female-led movement with 72.4% of women sharing a desire to travel alone while only 27.6% of men are willing to do the same. Dreaming of far away places is what we do here at TravelOnline. Curating the ultimate holidays, complete with azure blue waters and plenty of time for pool-side cocktails, we’re tirelessly negotiating the best island package getaways and awe-inspiring destinations for your next escape. Here we’ve compiled some of our favourite digital travellers and destination guides, inspiring us through the working week. While the 2018 Commonwealth Games draws spectators from across the globe, the Gold Coast is putting on a show of its own. Now in full swing, Festival 2018 has curated two weeks of diverse, free entertainment for crowds of all ages. If you’re heading down to the Games this week, be sure to take at look at the Festival 2018 calendar to see what else is on around town. We’ve compiled our top picks for the final week of action and there’s certainly something for everyone. Valentine’s Day is just around the corner and while you’re scrambling for gift ideas, your other half is dreaming of much more than the same old roses and chocolates. And really, flowers and treats don’t really cut it when it comes to gifts for men. So we have a few Valentine’s Day gift ideas for you. Basically, it all comes down to the fact that you both deserve a break. After all, spending some quality time together will not only earn you brownie points, but regardless of your budget, we’ve got Valentine’s Day escapes that cost about the same as a meal at a nice restaurant. Gone are the days of the backpacker. No longer are Australia’s youth strapping a pack to their back and setting off for an overseas adventure on a budget. Forget shared dorm rooms and communal bathrooms, it seems a new variety of Australian tourist has emerged. These young flashpackers are typically aged between 18 and 24 with plenty of disposable income and little to no big household expenditures. With no mortgage tying them down, it seems young Aussie travellers would rather spend big on holidays than homes. Fiji holidays certainly conjure images of soft white sand beaches, crystal clear waters and cocktails as colourful as the coral reefs. Guests visiting the InterContinental Fiji Golf Resort & Spa will be not only be treated to colourful cocktails, but also expertly crafted ones thanks to a guest spot by professional Mixologist Quynh Nguyen. It’s usually the part of the holiday that people look forward to the least. It can be long, uncomfortable and exhausting but in most cases, it’s also mandatory. It’s the journey that must be taken in order to get to the journey we really want to take. Flying typically has a bad reputation, but the truth is that it’s not all bad. Although many people still dislike the idea of boarding a plane, apparently there are actually people who look forward to some of the aspects of flying. Huh? We’re already through the first two weeks of the new year and if you’re anything like us, those well-intentioned resolutions you made on the first of January are already far behind you. Perhaps the hot summer days have you sucking back slurpees and crushing the sugar-free plans you had for 2018. Perhaps your resolution was a little too ambitious or perhaps you just couldn’t be bothered? Whatever the case may be, often the reason we fail to stick to our New Year’s resolutions is because they’re just too hard. However if your plans for 2018 involve more travel, there are a few little habits you can get into that are guaranteed to improve your holiday experience. Here are 5 travel resolutions you can actually stick to. While temperatures around the country soar, the Whitsundays are heating up for the world’s most wondrous sailing event – the Clipper Round the World Yacht Race. The countdown is on for the fantastic Whitsundays Clipper Race Carnival and the 70-foot ocean-going yachts who are the stars of the show are already on their way, sailing up Australia’s east coast as part of the Wondrous Whitsundays Race. Cocktails have been a part of travel for longer than you may think. In fact, as far back as WWII, returned servicemen have been bringing home rum-soaked recipes for navy grog and other tropical delights from their journeys to the Pacific. Although these days, we associate tropical cocktail menus with relaxing beach holidays. Sydney’s annual New Year’s Eve party is as famous all over the world as Sydney itself. Putting on one of the best NYE fireworks displays in the world, New Year’s Eve on the Sydney Harbour Bridge is Australia’s version of New York’s Times Square ball drop. With a new theme each year, more than 1 billion people consider the spectacle THE way to celebrate December 31. With more than 1.6 million spectators on the Harbour along with 2.3 million people all over Australia and millions more all over the world, TV broadcasts, radio simulcasts and live streaming online help make this the party of the year. Christmas is one of the most popular times to travel, after all it’s when most people get time off work. Tis the season to spoil yourself and those you love, so a little break is a great way to spend quality time with the family. Holidays should be relaxing, however travelling with family, particularly at Christmas time, isn’t always the most relaxing experience. Whether the whole family is heading overseas or just living it up in a holiday house by the beach, tensions can run high. We’re here to rescue you from a grinchy Christmas with our top 5 tips on how to survive the holidays with family and friends. If your holiday plans were recently affected by the eruption of Bali’s Mount Agung and resulting ash cloud, you may be wondering why these natural phenomena cause such chaos for airlines. Although disruption was relatively minimal on this occasion, with most flights simply delayed by a day or two, a similar event in 2015 had far more disruptive results. While the probability of another major ash cloud event is quite low, it’s interesting to uncover why these volcanic ash clouds can cause so much trouble for airplanes. As Christmas carols start to fill the shopping centres and strange bearded men sit children upon their knee for the annual family photo, there’s no denying that Christmas time is near. It’s a time of year that is synonymous with tradition, however with annual leave fast approaching, we can’t help but be thinking of traditions of a different kind. Whether big or small, travel traditions are the perfect way to create lasting memories on every trip you take. Established to acknowledge the outstanding contributions of exceptional hotels, the Haute Grandeur Global Hotel Awards are synonymous with luxury, status and acclaim. The 2017 Haute Grandeur Hotel Awards Gala Ceremony was recently held at the Sofitel Bangkok Sukhumvit in Thailand where the InterContinental Fiji Golf Resort & Spa received top honours, being named Fiji’s Best Beach Resort and Fiji’s Best Family Resort. Schoolies Celebration: Is Bali The New Gold Coast? Senior graduates from all over Australia have come to look forward to that magic time of year when their studies are over and they can finally let their hair down and celebrate. Famously known as ‘schoolies’, these end-of-year festivities have traditionally been celebrated on Queensland’s Gold Coast with a variety of organised activities and outdoor concerts. However, it seems school-leavers are increasingly opting to party in alternative beachside holiday destinations. A favourite for Aussies thanks to its affordability and close proximity, Bali schoolies is becoming increasingly popular with Australian high school graduates. TravelOnline is proud to announce that we have been named Travel Agent of the Year and Hotel Reservations Service of the Year in the 2nd annual ProductReview.com.au Awards. Hailed as Australia's first and most comprehensive consumer opinion site, ProductReview provides a platform for people to rate and review products and services and the businesses that sell them. There are many excuses we tell ourselves that hold us back from travelling. We often tell ourselves that we don’t have the time, or the money, or the motivation to plan it all. However these excuses are only true if we allow them to be. Holiday packages can take the hassle out of booking, forgoing that expensive coffee every day will soon add up to a decent chunk of savings and the only time you have is now so it pays to make time to travel. Travelling improves your life in so many ways and what it gives back to you is worth so much more than just the cost of your trip. Just in case you needed a little reminder, we’ve put together a list of 10 ways travelling makes you a better person. Australians are some of the most well-travelled people on earth and despite having a pretty great country of our own, there’s nothing we love more than getting out and exploring the rest of the word. Still, our little island is quite a ways away from some of our favourite holiday destinations and long hours of flying are often required to reach our vacation destinations. While you can’t really control your fellow passengers or the affect they have on you, there is certainly plenty you can do for yourself to make a long plane ride much more agreeable so we've put together are our top 10 tips for surviving long haul flights. This year celebrates the 25th anniversary of the Queensland Hotels Association Awards for Excellence, a gala event that celebrates the ‘cream of the crop’ of Queensland’s hospitality industry. Showcasing the sunshine state’s best, the recently held QHA awards named The Star Gold Coast as Queensland’s most luxurious and prestigious place to stay and dine, hand picking The Star for two of the top awards. It seems everyone dreams of amazing journeys and is mentally preparing some kind of travel bucket list that’s packed with potentially life-changing trips all over the globe. However money, career and family commitments can all impact your ability to make those dreams a reality…at least for now. Still, that doesn’t mean that you need to miss out on the wonders of being a tourist. Why not share the love a little closer to home? Airport security is perhaps the least enjoyable aspect of travelling and with security on the increase in airports all over the world, it’s only getting more and more time consuming. Wait times at security check points can get a bit ridiculous, particularly at busy airports, and if you’re cutting it fine to make your flight it can mean the beginning of your holiday is far more stressful than it needs to be. As experienced travellers, we know that getting through airport security is a refined science so we’ve put together the top five tips to get you through airport security faster. With summer just around the corner and the weather already warming up, we’re looking for more chances to get outside and enjoy the great outdoors. Whether you’re looking for something different to do on the weekend or plan on spending the week enjoying the wilds, Noosa is the perfect place to relax and enjoy the weather while exploring the spectacular national parks and trails nearby. Despite sustaining severe damage earlier in the year during Cyclone Debbie, Hamilton Island Wild Life has reopened, much to the delight of keepers and visitors. One of the most popular activities on Hamilton Island, the wildlife attraction had been temporarily closed while the damage was fixed which saw regular residents Billy, Bobby, Jeddah and Tallow the koalas take a holiday of their own to the Sunshine Coast’s Australia Zoo. Now, the koalas have returned to their newly renovated home. 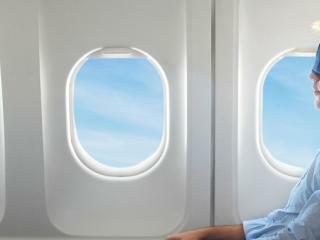 Travelling on a plane can be a stressful experience regardless of whether you are flying short haul or long haul. There’s a busy airport to contend with, your luggage and the never-ending security line – and that’s all before you even get on the plane! If, like most of us, you can only afford to economy flights then you’re lumped in with everyone else in those cramped and uncomfortable seats. Still, it’s not the seats (or even the questionable food choices) that bothers people so much. It turns out it’s actually their fellow passengers that tend to get on people’s nerves. Airfares can be a costly part of your holiday. Depending on where you’re going, sometimes the plane ticket can cost just as much as your accommodation – if not more! If you’re a family jetting off for some quality time together, the cost of flights can quickly multiply and can often mean the difference between being able to afford to go where you want, and settling for somewhere that you can afford. However, family flights to Fiji have just gotten much more affordable thanks to TravelOnline. If you grew up watching Brady Bunch repeats and old-fashioned Elvis Presley films, you probably think Hawaii’s main island of Oahu is still a haze of hibiscus shirts and happy hang loose vibes. While this is still true to a degree, Honolulu has grown into a cosmopolitan and modern city with much more to explore than just its cocktail menus. Once you’ve spent some time shopping, swimming and sampling the local cuisine, there’s some must-do experiences that offer an insight into a more authentic Hawaii and trust us, there’s lots to love. We’ve announced a NEW competition giving you and a lucky friend the chance to win a holiday to stunning Vanuatu! This fantastic prize is valued at up to $3,600 and includes 5 nights in a Junior Suite at Ramada Resort Port Vila plus return flights for two people*, return airport transfers and buffet breakfast daily for two as well as 500mb of WiFi per day. Snorkelling v Scuba Diving: Which Is Better? Tropical island holiday destinations are famous for their snorkelling and diving opportunities, but if you’re new to the game you may not know which option is for you. However, after flying in over that crystal clear water and being able to see the coral reefs that rest below the surface, the one thing you do know is that you’ve got to get down there to check it out. One of the biggest Hawaii attractions is the crystal clear water that’s just begging to be explored. Still if you’ve never snorkelled or dived, you might be struggling to decide which you should give a try. With the end of winter in sight, we can’t be the only ones whose thoughts are turning to summer holiday plans. While it’s more fun to think about kicking back on the beach without a care in the world, there are some important safety tips to consider when you’re travelling. It’s not just about staying safe while you’re abroad, it’s also important to ensure you keep your home safe while you’re away. If you’re not careful, you might find yourself in a situation that stings more than your sunburn. We’ve put together these 5 tips to help you have the safest holiday yet. Travelling is more than just a holiday. It truly can change your life. Whether it celebrates a milestone in your life or signifies financial or emotional freedom, it can represent so much more than a break from the mundane. Perhaps it provided you with a job that has changed your life, perhaps it helped you to move past a difficult time or perhaps it just helped you to meet someone special. Whatever travel means to you, we want to know how it changed your life. So we put it out on social media and asked the question, how as travel changed your life? Here are some of the responses we got, some of them are pretty incredible! Where Can Your Tax Return Take You? It’s that time of year again. You’ve been collecting your receipts for months and now those little slips of paper will hopefully score you a refund from the tax man. If you’re like us then you’ve probably already been dreaming about how you’ll spend your tax return. Forget about paying off your credit card (as if), don’t settle for small – dream big! While remaining connected on holidays is vital for some (how else are you going to make your friends and family jealous? ), for many, technology is an unwelcome intrusion into their down time. Baby Boomers in particular show a clear preference for unplugging from the digital world when on holiday. The golden beaches of the Sunshine Coast make it the gold standard of Queensland holiday destinations. Earning its sunny name from its ideal combination of wonderful weather and friendly locals, Sunshine Coast holidays are sure to put a smile on your face. Offering 13 beaches over a 100km stretch of pristine sand, the Sunshine Coast encourages you to do as little as possible, relaxing on the beach or reconnect with your adventurous side in the spectacular nearby hinterland. Like everything in the world of travel, technology is moving at a rapid rate and is a driving force for both travellers and travel providers to up their game. The latest travel trend is seeing holidaymakers ditch their traditional payment methods and opt for faster, easier and more secure methods. Rather than fish around in their wallets searching for their credit card, travellers booking holidays online are increasingly opting to use PayPal as their preferred method of payment. It seems for many travellers, it’s easier to remember a password rather than their entire credit card details. You know that annoying green card you're forced to fill in at the airport, only to be directed to place it into a clear plastic box that might as well be a rubbish bin? You know, the one that makes you scramble for a pen, your passport and flight numbers? GOOD NEWS: As of 1 July they will no longer be necessary! If one of your favourite parts of your holiday is the buffet, then Vanuatu is the destination for you. This spectacular Pacific island offers a smorgasbord of wonderful experiences, meaning there’s something to appeal to everyone all in the one place. There aren’t many (if any) other holiday destinations around the world where you can snorkel a stunning blue hole, hike to the crater of the most accessible volcano in the world and sip kava with the chief of a village all in one day. Yet Vanuatu offers all this and so much more. With so many things to experience, deciding what to see and do can be tough. We’ve put together the top five things to do in Vanuatu to help you make the most of your time in this island paradise. Bali is a popular holiday destination that attracts thousands of tourists each year. A tropical island paradise, Bali is renowned for its rich culture, beautiful beaches, excellent surfing, discount designer shopping and its vibrant nightlife. However a holiday to Bali isn’t all cocktails by the pool, hair braiding and Bintang, there are plenty of hidden gems when it comes to exploring Bali behind the commercialised tourist veneer. In fact, if you dig a little deeper on your next trip to Bali you’ll be surprised by the number of wonderful little spots that have been some of Bali’s best kept secrets…until now. I’m not really a beach person. In fact, I’m not really an ‘outdoors’ person, but beaches specifically I’ve always found too sunny, too salty, too sandy and just generally not enjoyable. So you can imagine all the ribbing I got around the office when I announced I was off to Hawaii for 2 weeks. Despite my aversion to the ocean (did something just touch my foot!? ), I’ve always wanted to visit Hawaii. Pacific Island holidays bring idyllic images to mind. Soft white sand beaches, palm trees swaying gently in a tropical breeze and overwater accommodation are all icons of these dreamy escapes. Despite having so much to offer, Fiji has been sorely lacking in the overwater accommodation department…that is, until now. Despite its reputation as a relaxing coastal holiday destination, there’s plenty of nightlife bubbling under the surface of Noosa’s idyllic sunny days. In fact, when the sun sets over the glittering beaches and the stars come out to play, so too do locals and visitors. To glittering lights of a different kind, there are a great range of bars, nightclubs and live entertainment venues scattered throughout Noosa. Of course, the best bars and live entertainment in Noosa is really up to your own individual taste, however there are a number of places that a renowned as nightlife hotspots and for good reason. The food and cuisine of Bali is certainly a highlight of any trip to this vibrant holiday destination. Whether you’re game enough to indulge in the most traditional fare or prefer to stick to slightly more familiar options, it’s worth trying Balinese cuisine for the authentic experience while you’re visiting. While the exotic sounding food may conjure some interesting images, the cuisine of Bali truly is a contrast. For years, many Australians travelling to remote destinations like Fiji have taken books and school supplies with them to donate to the village children and their schools however it seems for many this didn’t feel like enough. Now, thanks to Outrigger Fiji Beach Resort general manager Peter Hopgood, generous Aussies can combine a relaxing holiday with the warm fuzzy feeling of helping others by pitching in on community projects. There’s a new must-have travel accessory on the market, and it’s a strong influencer on where and how you holiday. It won’t take up much space in your suitcase and you can take it with you wherever you go, without needing to pack a thing. In fact, it’s not even tangible, yet social media has taken the travel industry by storm and it’s shaking things up in a very tangible way. Wildlife Tourism: Conservation Or Con? Seeing wild and exotic animals is often on the bucket list of many travellers, particularly if the destination is known for its unique wildlife. Getting up close to these animals can be such a memorable part of your holiday. However, some unethical operators prey on naïve tourists, conning them into paying for an ‘animal experience’ while hiding cruelty and abuse from view. Unfortunately, many tourists who love animals may actually be contributing to animal suffering simply because they’re not aware of how these animals are treated. Bali already has a pretty well-established reputation as an affordable holiday destination, however that doesn’t mean you’ll be slumming it in backpacker accommodation. In fact, it’s entirely possible to indulge your champagne tastes in Bali while sticking to a beer budget. Whether sparkling wine or Bintang is your thing, you’ll have plenty of money left over to enjoy both with this guide to Bali holidays for the budget conscious traveller. The travel industry is a pretty rewarding one to be involved with. Sure there are some pretty great perks, but it’s also really rewarding to hear how much our customers enjoy their trips. In fact, we’ve been hearing some rewarding customer reviews lately, so we’d like to reward you right back with an exciting competition giving you and one lucky friend the chance to win a holiday to Fiji. One of the 50 states of the USA, Hawaii is a group of islands that were created by volcanic eruptions caused by Pacific Plate movement over many years. Famous for its tropical climate and breathtaking scenery, the Hawaiian islands are home to a rare Polynesian culture and some of the most popular holiday destinations in the world. Attracting thousands of tourists each year is Honolulu’s famous Waikiki Beach, the lush iconic beauty of Kauai, the hot lava of the active volcano on the Big Island and the breathtaking sunsets of Maui. Bali holidays are renowned for their tropical island destination where you can get your fill of sun, sand, surf, bargain shopping, tropical cocktails and beach parties however there is so much more to this stunning holiday destination. Beyond the resorts and bustling tourist areas lies an amazing, ancient land of rock formations, caves and irrigation tunnels that many visitors to Bali don’t even know exist. Launching direct flights to Vietnam for as little as $159, Jetstar has predicted the southeast Asian country will be the new Bali for budget Australian travellers. The low-cost carrier will be the only airline of its kind to fly directly to Ho Chi Minh City from Australia with the launch of its new route in May. Celebrating the announcement with a 12 hour sale offering one-way fares for as low as $159, Jetstar will fly its Boeing 787 Dreamliner direct from Sydney to Ho Chi Minh City four times weekly and from Melbourne three times weekly. Bali is often depicted as a party paradise of budget shopping and beaches however there is much more to appeal to travellers in Bali, especially if you’re an animal lover. While some of Bali’s animal attractions have recently copped some bad press, there are tourism operators and animal attractions that not only care for the animals responsibly but actually use the experience to help educate visitors and aid in conservation efforts. The ethical treatment of animals that are part of Bali’s wildlife attractions is important and if they can be used to help spread awareness of the plight of their species, it’s a great opportunity for visitors to take home and share this information. So you’ve made it through Christmas and now you’re gearing up for a big New Year’s Eve where you’ll make resolutions that are always harder to stick to than you think. According to research by global information and data company Neilsen, 28% of people resolve to enjoy life to the fullest while 14% promise themselves they’ll travel more in the new year. So whether you’re looking for the next big thing in travel or just want to know which destinations will be trendiest, we’ve put together out hit predictions in our travel trend forecast for 2017. Noosa is renowned as a picturesque seaside holiday destination famous for its golden beaches and the boutique shopping and ‘eat street’ of Hastings Street. A consistently popular holiday destination for families, Noosa is becoming increasing popular with couples after an easy and affordable romantic getaway. Spas are becoming one of Fiji’s fastest growing areas of the tourism and hospitality industry. A boom industry, spas are becoming essential to the global travel stage of Fiji’s many attractions. Renowned as a destination of peace and relaxation, Fiji’s spas are targeting guests from around the world with quality treatments that cover the wellness and beauty expectations of the island’s increasing inbound tourism figures. It’s that time of year again. The days are getting longer, the weather is getting warmer and you’re starting to daydream about your summer holidays. After working hard all year, you’ve got just enough left in the tank to get you through Christmas and then it’s time to recharge your batteries. Time off in summer means time out with the family, away from sleepovers and sporting commitments. Family holidays mean swimming in the ocean, sun kissed skin, salt water dried in your hair and eating mangoes by the tray. So, how do you afford a holiday without breaking the bank? Read on. Fiji holidays boast some of the world’s best diving. After all, it’s not known as the ‘soft coral capital of the world’ for nothing. Fiji’s sunny weather, warm waters, superb visibility and abundant marine life provide some of the most incredible scuba diving conditions on the planet. From spectacularly colourful coral reefs to mysterious sea caves and grottoes and the curious tropical fish, Fiji is a diving paradise. The crystal clear waters of Fiji are an underwater wonderland that are also home to large oceanic species including tuna and sharks making Fiji diving a truly unforgettable experience. The Whitsundays have always been a beloved holiday destination with people all over Australia, however a recent survey has ranked the islands among the top 10 most popular Australian regional holiday destinations. The Whitsundays have been a favourite holiday hotspot in Australia for decades. It’s really no surprise when you consider it’s easier than trying to organise your passport for an overseas holiday. With wonderful weather all year round, the islands are particularly popular during the winter holidays. Let’s take a look at what makes this North Queensland region so special. Father’s Day is just around the corner and it’s time to step up your gift giving game. Forget about socks and jocks, your dad deserves so much more than new underwear. After all this is the guy who turned up to all your footy games, gave you your first sip of beer and taught you how to change a tyre. Get dad something he really wants this Father’s Day and spend some quality time together doing something that he loves. Stuck for inspiration? Check out our gift guide for the top 5 Father’s Day getaways for you and the old man. In 2015 and 2016 Bali volcanoes erupted and their resulting ash cloud caused the cancellation of a number of flights between Australia and Bali. For many travellers, their Bali holidays were either cancelled, or extended for up to 2 weeks – whether they wanted them to be or not. However there’s no need to be afraid of Bali’s volcanoes or volcanic ash clouds, and major disruptions are pretty rare. In fact tourists have an interesting relationship with Bali and its volcanoes. They’re both drawn to them as mysterious and majestic tourist attractions but also wary of the disruptions they can cause to their travel plans. Still, it’s interesting to discover just what it is about volcanic ash clouds that make them so dangerous for airplanes. As you’ll see, there’s a lot more to it than just needing to switch on the windscreen wipers. Foodies rejoice, no longer do you have to take out a personal loan and book months in advance in order to experience Michelin star cuisine. In fact, a quick collection of coins from the back of the couch should be enough to get you your very own Michelin starred dish in Singapore. The very first street hawker has been bestowed with the honour of receiving a Michelin star and it’s set to shake things up in the culinary world. Kauai is the oldest island in Hawaii and you don’t get to be six million years old without holding on to a few secrets. There are lots of things we do know about Kauai, including how beautiful it is but there are also quite a few things you probably don’t know. Packed into this little island is everything from primeval ‘Jurassic Park’ rainforest to palm-fringed beaches, sheer cliffs, emerald ravines, thundering waterfalls, majestic canyons and valleys. Some of Kauai’s best kept secrets are only accessible by helicopter, boat or some serious hiking. It’s time you discovered the true Kauai. The tropical island paradise of Fiji is one of the most popular holiday destinations for Aussies. In fact, last year almost 310,000* Australians visited the pristine shores of Fiji. From the snorkeller’s heaven of the Mamanuca Islands to the private oasis of the Coral Coast and the world class golfing and cruising region of Denarau, there are more than 100 hotels and resorts to choose from. With so many options, planning your Fiji holidays can seem a little bit daunting. To help make your decision a bit easier, we’ve put together our pick of the top 10 resorts in Fiji. Australia is known for its stunning landscapes, beautiful beaches and laid-back locals. It is also home of the Sydney Opera House, Great Barrier Reef, UGG Boots, and of course kangaroos and koalas. Before you hop in your car hire and start exploring the Land Down Under, there are some things you should know. It’s the greatest rivalry in Australian sports. Queensland v New South Wales. These two teams have been battling it out for almost 40 years. It’s basically Australia’s answer to the Super Bowl and whether you follow rugby league or not, the whole country is consumed by this long-standing rivalry. It’s not just on the field where tensions run high. This competitive streak spills over into other areas too, including the tourism industry. Each state is adamant that it offers the best, that it IS the best. So while the two states battle it out on the sporting field, we take a look at how they stack up as holiday destinations. Who will claim the ultimate victory? Are you a tourist or a traveller? When it comes to holidaying overseas most people think these two terms mean the same thing, but those in the know understand there are some very big differences. Tourists stick out like sore thumbs while travellers know their stuff. Whether you’re travelling to some far off exotic land or just a couple of hours by plane, we’ve put together a collection of some of the most common cultural considerations for a variety of holiday destinations around the world. With this advice in mind you’ll avoid awkward and possibly offensive situations no matter how far or how wide you roam. Your wedding day, the happiest day of your life. You feel like you’ve got the world at your feet and when it comes to the honeymoon – you do! It’s a time to steal away together from the madness of the world, the stress of planning the wedding and recover from having that many family members together all at once! We’re here to help with our top 5 honeymoon destinations. Winter is coming. So are extra Qantas services to Queenstown. If you live in the southern states you’re probably already in the grips of winter’s icy fingers. While some people like to chase the sun and jet off somewhere warm and tropical to escape the falling temperatures, others embrace them and head for the snow fields to get their ski on. Booking travel online is an easy way to compare prices, evaluate hotel reviews and save money but for inexperienced travellers, it can also come with some risks. TravelOnline has been specialising in holiday packages for almost 20 years and has multiple accreditations with national travel agent endorsement organisations. Rated #1 Travel Agent Australia on Product Review and with an impressive Trustscore of 9.4 on Trust Pilot, more than 50,000 customers a year purchase our discounted travel packages. However not all travellers are so lucky, with scams targeting customers booking online travel on the rise. Think again. Often, travellers think their credit card automatically covers them with ‘free’ travel insurance, but this is not always the case. Between recent natural disasters and political unrest, now is the perfect time to talk about the importance of travel insurance. Like a lot of insurance, it often feels like a bit of a waste of money. That is, of course, until you need it. TripAdvisor, the largest travel review site in the world, has released the results of its annual travellers choice awards. Based on booking interest and traveller feedback across the last 12 months, the 2016 Trip Advisor travellers choice awards rank everything from the hottest destinations of the year to the most outstanding hotel providers and more. They’ve also released a list of the top 10 Australian holiday hotspots, so we thought we’d take a look at the list and consider what makes these destinations so good. Some people are born with the gypsy gene, never spending too long in the one place and spending their lives looking for new places and experiences. Others spend all year planning a grand annual family holiday and some just like to enjoy quick weekend getaways or an extra few days here and there exploring somewhere new tacked onto the end of a business trip. Regardless of your travel style, there are so many reasons to go somewhere new and experience somewhere different. Here are just 10 reasons why you need to travel more. Are you an aviation geek? Or perhaps you just like to know more about the big metal tube that will be hovering you thousands of feet above the earth? Whether it’s a passing interest or more of an obsession, the forces that surround modern day flight are often mystifying. However dig a little deeper and you’ll find some rather fascinating facts on some of the most popular air travel and aircraft. Arriving at the airport after a long flight can often leave you feeling a little sketchy as you step into the terminal, however that could take on a more literal meaning for travellers through Brisbane Airport with the introduction of the very first artist-in-residence, Robert Brownhall. One of the most renowned realist artists in the country, Brownhall will undertake a six month residence painting scenes from the busiest airport in Queensland. So you’ve got the back to work blues? You made it through the craziness of Christmas and New Year’s and you’re just barley holding on through the school holidays. The good news is that Australia Day is just around the corner! The upcoming Australia Day public holiday is a chance for some time off work and falling on a Tuesday this year, the Monday is looking very popular for chucking a sickie and extending your day off into an extra long weekend. The New Year’s Eve party held on Sydney’s Harbour is as famous throughout the world as the city itself. Offering one of the best New Year’s Eve firework’s displays in the world, NYE on the Sydney Harbour Bridge is Australia’s answer to the ball drop in Times Square, New York City. Featuring a new theme every year, one billion people agree that this amazing pyrotechnic spectacle is THE way to see in the new year. Watched by approximately 1.6 million spectators on the foreshore of Sydney Harbour as well as 2.3 million across Australia and millions more around the world, the television broadcasts and radio simulcasts help to make this the party of the year. 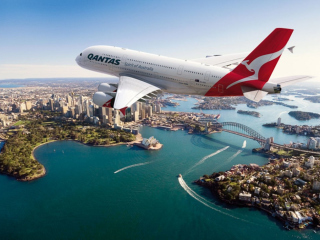 Members of the Whitsundays Regional Council this week voted unanimously in favour of commencing international charter flights into and out of the Whitsundays region in 2016. Pitched by AVMIN, a specialist air charter firm, this exciting news has named New Zealand as the first international destination to operate flights in and out of the Whitsundays Airport, with Asia to follow shortly after. We’ve announced a NEW competition giving you and a lucky friend the chance to win a holiday to Bali! This fantastic prize is valued at up to $2,600 and includes 5 nights in a Deluxe Room at Bali Dynasty Resort as well as return flights for two*, return airport transfers and breakfast daily. Between the rising cost of living and the decline of the Aussie dollar, it can be hard enough to save up the money to treat yourself to a well-deserved break. However, holidaying doesn’t need to be expensive. There are plenty of ways to cut costs without sacrificing on comfort or quality and it doesn't all revolve around being lucky enough to score a flight on sale. To give you a helping hand, we’ve put together a list of the top 10 ways to save money while on holiday. Rugby fever has taken hold after some impressive performances by Fiji in the 2015 Rugby World Cup. While the Fijian teams have delighted crowds in both the 15 and 7-player formats for years, this year they have really stepped it up and their excited fans flying bright blue flags and decked out in flower garlands have followed them all the way to Twickenham. See where it all began and perhaps catch some of the next big names in Fijian rugby in action, with a visit to Fiji. Join in a game with some of the locals or just sit back and cheer them on. 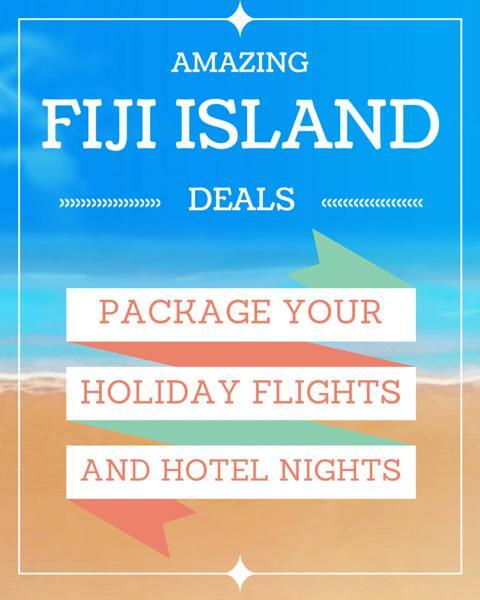 While you’re there, there’s plenty more ‘sitting back’ to be done with these Fiji holiday deals. With all the excitement and organisation surrounding the 2018 Gold Coast Commonwealth Games, areas around the Gold Coast are starting to benefit from a whole range of industry, investment and infrastructure. Although the games are still a couple of years away, the region is already seeing the effects of being host city and will continue to see shopping, Gold Coast resorts and sporting stadiums popping up across the coast in the lead up to the games. The newest addition to TravelOnline, Japan ski holidays offer a unique way to holiday and experience the wonder of some of the world’s best ski fields along with the exotic culture and cuisine of Japan. The iconic onsen hot springs and fascinating Japanese culture are just part of what make Japan ski holidays so unique. There’s something that happens every year as the temperature starts to drop. A natural phenomenon if you will. About the time the winter chills start to really set in, when daytime temperatures are at record lows and it’s getting dark before you even leave the office. It’s the great northern migration. Lately we’ve been hearing some really rewarding feedback from our customers and it’s so nice to know we’re helping people enjoy such a wonderful time on their holidays. So to reward you right back, we’ve announced a new competition giving you and a lucky friend the chance to win a holiday to Vanuatu! Getting to stay in a luxury Hastings Street resort for free sounds like a deal that’s too good to be true but thanks to some hot winter deals in Noosa, that could be the reality of your next holiday. The deluxe boutique beachfront accommodation of Netanya Noosa is offering 2 free nights in a 1 Bedroom Suite when you stay for a minimum of 5 nights while the stylish Mantra French Quarter is offering reduced rates so you can stay and save. Are Travellers More Social Than Ever? A new study by the World Travel and Tourism Council has revealed the growing influence social media and smart phone apps have on the decision making of travellers. The study showed that 64% of travellers used social media while travelling, while a whopping 85% of travellers use their smartphone while abroad. 52% of travellers said their friends photos on social media inspired their own choice in travel with the same number of travellers admitting to changing their travel plans based on their own social research. Popular travel publisher Lonely Planet has just released their top 10 best value destinations to visit in 2015 and right smack bang in the middle is Bali. Surprised? 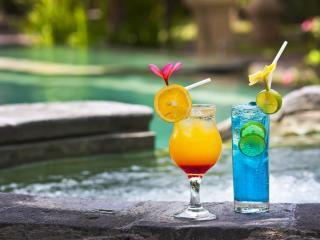 We weren’t, after all Bali has long been known as one of the best value holiday destinations for quite some time. We recently sent one lucky winner on a holiday for 7 nights in Phuket. Amanda from WA had such a great time she wanted to share her experience with you all. Having been to Phuket a number of times before, Amanda has some great tips and fantastic advice to share. Read on to hear from Amanda about her week in Phuket thanks to TravelOnline. Bali is a popular holiday destination renowned for its affordable yet exotic atmosphere along with is excellent shopping, beaches and nightlife. A great way to make your Bali holiday easier and even more affordable is by choosing one of the Bali resorts with meal plans. When it comes to deciding the best time to visit Thailand, like most places you wish to travel in the world, it generally comes down to the weather. Thankfully, there are really no extremes when it comes to Thailand weather therefore any time of year is the perfect time to visit. We're giving you and one lucky friend the chance to WIN 5 nights in an Executive Suite at the luxurious 5 star Semara Resort & Spa Seminyak plus return flights, airport transfers, massages, entry to the Kids Club, daily yoga classes, entry to Finns Beach Club, access to the gym and WiFi internet access throughout your stay all valued at up to $3,000! Rev heads unite! From February to March, Melbourne will be shrouded in the scent of engine oil and burning rubber as the Superbike World Championship and Formula 1 Australian Grand Prix speeds into town. This month sees the annual Magic Millions Sales and Race Day gallop into the Gold Coast for what is fast becoming one of the greatest racing carnivals and international yearling sales in the world. How do you usually spend Boxing Day? Camped out on the couch eating leftovers watching the cricket or braving the crazy crowds of the Boxing Day sales to bag the best bargains? What if you could do both!? This year you can thanks to our bargain Boxing Day Sale delivered direct to your inbox! Christmas is always a popular time to travel, however holidaying with family isn't always the most relaxing experience. Are Australian's the rudest travellers in the world? We've all been there. You're on holidays overseas, minding your own business and having a great time when some loud, obnoxious tourist starts ruining it for everyone by disrespecting the local culture or comparing everything to 'back home'. Virgin Australia have recently introduced a new wireless in-flight entertainment system that allows travellers to stream content to their personal devices during their flight thanks to new in-built wireless technology on board the aircraft. Melbourne is one of Australia's most popular cities to visit whether for a quick weekend away or an extended holiday. With some of the top hotels in Melbourne, accommodation is easily taken care of, putting you right in to heart of this city's trendy bohemian vibe. Located on stunning Ka'anapali Beach in Maui, The Westin Maui Resort & Spa is proud to announce two new exciting dining experiences. 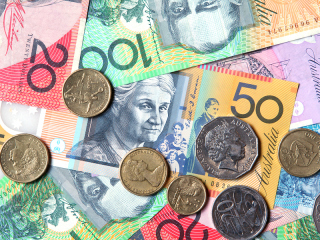 According to new research conducted by STA Travel, Australians are some of the world's most financially responsible travellers. We're very pleased to announce that our most popular Hawaii accommodation, Outrigger Reef Waikiki Beach Resort, has just introduced two new walking tours in Waikiki. Adding to the already exciting Living Reef experience at Daydream Island Resort & Spa, plans are underway to create more aquatic areas from which to view these fascinating underwater creatures. According to new research by State of Trustees, not enough Australians who travel overseas are adequately prepared for the unfortunate possibility of a death abroad. A recent study conducted by payment solutions groups eNett and PhoCusWright has found that many travel providers are being left behind in the fast-growing and technology-rich world we now live in. Just a month after a fire damaged parts of the resort, one of Fiji's most popular Coral Coast tourist resorts is already getting back on its feet. The 5 star accommodation experience of the Intercontinental Fiji Golf Resort & Spa has just stepped up a notch as the resort welcomes new Executive Chef Ofir Yudilevich to the food and beverage team. At a gala event in Suva, Air Pacific have debuted their newly rebranded A330 jets under the Fiji Airways brand as part of the airline's revitalisation plan. If you can't afford travel insurance you can't afford to travel. Remember that old chestnut? It sounds a bit doom and gloom but unfortunately it's also very true. Like with most insurance, it can sometimes seem like a bit of a waste. One of our standout Fijian properties, Outrigger Fiji Beach Resort offers 5 star accommodation and is renowned for its unbelievable range of onsite facilities. Fiji has consistently been a top performer when it comes to our most popular, family friendly holiday destinations. Thanks to its friendly and accommodating culture, it's always been our most recommended getaway for families. Hilton Fiji Beach Resort and Spa is one of our top accommodation options in Fiji and with a name like Hilton attached to it, it's easy to see why. TravelOnline has long been a provider of specialised wedding and honeymoon packages to a variety of our top destinations including Fiji weddings and honeymoons, Vanuatu, Cook Islands and Hawaii. Despite how much we try to ignore it, Christmas is hurtling toward us at what feels like an increasing speed. It is September after all and the festive season will be here before we know it. This year's flu season has been a particularly bad one and if you had any plans to travel, getting sick either before you leave or while you are away may impact you more than you realise. FuramaXclusive Ocean Beach, Seminyak Bali has long been a favourite place to stay in Bali with our customers. Although we've always known it's had a lot going for it, we're very pleased to share in celebrating its recent accolade. Bali Dynasty Resort is one of our top performing properties in South Kuta but we suspect it's going to become even more popular with some of the recent high-flying improvements they have made to their onsite facilities. Despite a reputation as a shopping and party destination for younger travellers, South East Asia is gaining momentum as a popular getaway for older Australians. Having recently celebrated their first birthday, Semara Resort & Spa Seminyak have been busy with a few updates to keep the atmosphere fresh. We've amped up our giveaways to give you MORE opportunities to win MORE! Not only can you score a $500 TravelOnline Travel Voucher to put towards any holiday of your choice, you can also win a Canon EOS 1100D SLR Digital Camera worth $650. If you've visited our website recently, you will have noticed a few changes around the place. Apart from looking much nicer and sporting a contemporary new layout, the website is now much more user friendly. The 7 day weather forecast for the Sunshine Coast is sunny with top temperatures of 20 degrees everyday! Not too shabby for winter weather I'd say! I guess it's easy to see why it's earned its name. The Hard Rock Hotel Bali has just undergone a refurbishment and revitalisation project over the last 8 months and we're pleased to announce it is now fully complete! On the West Coast of Phuket lays a secluded cove of lush gardens, pristine beaches and the crystal waters of the Andaman Sea. It is here you'll find some of the most popular accommodation in Phuket, if not Thailand, Le Meridien Phuket Resort. Nestled on Queensland's north coast between Cairns and Port Douglas, Palm Cove is a relaxed coastal town and tourist hot spot comprising of 1.5 km of tropical beachfront, the majestic mountains of the Great Dividing Range. In conjunction with Tourism Australia, two well-known French lifestyle bloggers visited Victoria in March. Seen as trend setters in France, they have already generated a fair bit of coverage with many positive comments from other French bloggers. A great way to take advantage of this while staying comfortably close to home is to visit Vanuatu. Steeped in a rich, ancient history and with some of the most amazing natural beauty on Earth. As the rainy season draws to a close, we're coming in to the ideal months to visit Bali so this week we have the spotlight on one of our recommended and very popular places to stay in Seminyak. Fiji is just one of those places that as soon as you hear the name you can't help but imagine sun drenched white sandy beaches, crystal clear brilliant blue water, warm friendly locals and a lush green island oasis. Tourism Research Australia released figures this week showing that fewer Queenslanders holidayed at home in 2010. With all the terrible weather the state has copped this year, many people think that the state is still recovering and that some parts, particularly in northern Queensland are out of action. Travel Insurance - as essential as accommodation! With the recent political unrest and spate of natural disasters around the world, there's never been a better time to talk about travel insurance. We've been working for a little while now on a little make over for the site including updating some of our information and we're very excited to announce that we've just launched a new part of the site dedicated to Villas in Bali. Important information and advisement for customers who have purchased Air Australia tickets from TravelOnline. One of the big attractions of Bali holidays is the huge range of Bali accommodation available to suit every budget. For those not looking for absolute luxury and the price tag that comes with it the Jayakarta Bali is a great option. With the ever increasing popularity of Bali holidays, Travel Online is proud to present the latest addition to their product line with the Bali Holiday Deals website. With a central focus on Bali accomodation this site aims to provide travellers with the most convenient way to find Bali travel information, detailed hotel and resort information. Travel Online has recently updated the Hamilton Island map page. The update includes links to more information about Hamilton Island accommodation, resorts and facilities. With the continuing popularity of Fiji as a holiday destination, many people are searching for the best options for Fiji holiday accommodation. While there is a long list of great resorts and hotels in Fiji, one of the most popular options. The Fiji Holiday travel market is still showing no sign of slowing down with visitors continuing to flock to the region. The network of TravelOnline sites has recently undergone a complete refit. It is hoped that these changes will make the site easier to use and more attractive for customers and more crawlable to search engines.